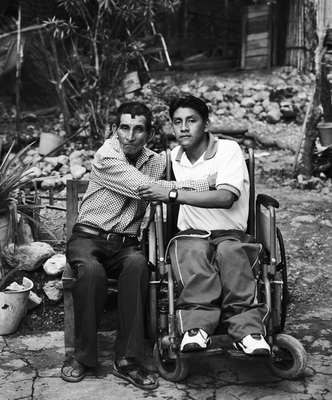 In February 2018, Óscar Gil-García added an insightful photo collection called the “Guatemalan Forced Migration” to the Libraries’ Open Repository at Binghamton, The ORB, with descriptions written in both English and Spanish. The photographic exhibition Guatemalan forced migration: the politics of care in representing refugees explores the mechanisms of representation used for forced migrants that stage appropriate refugee identities to justify the need for humanitarian care and includes images of indigenous Guatemalan forced migrants living in the former refugee camp of La Gloria in the state of Chiapas in Mexico. Through the use of an innovative participant photovoice ethnographic method, a series of portrait photographs have been taken, whereby participants determine how they would like to be photographed for the first frame, while a second picture reflects the dominant frame reflected in the humanitarian and mainstream media. These portrait photographs provide an opportunity to examine how an indigenous forced migrant community shapes its identity. At the same time, it deconstructs their stereotyped, gendered representation that portrays forced migrants — women in particular — as apolitical domestic nurturers; while males are viewed as mobile wage-earners or perpetrators of violent conflict. This collection contains nineteen photographs, a flyer and a bibliography for further research. 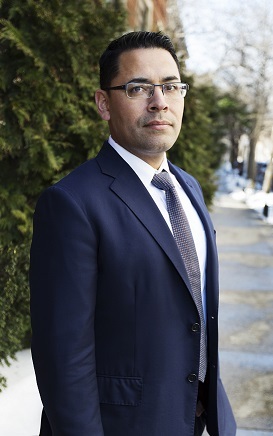 Óscar Gil-García, PhD, is an assistant professor in the Department of Human Development, College of Community and Public Affairs at Binghamton University. His research lies at the intersection of forced migration, humanitarianism, gender and development. He has over ten years of experience in conducting ethnographic research with indigenous Mayan refugees from Guatemala. His work examines their incorporation in Mexico’s southernmost border state of Chiapas and the United States. 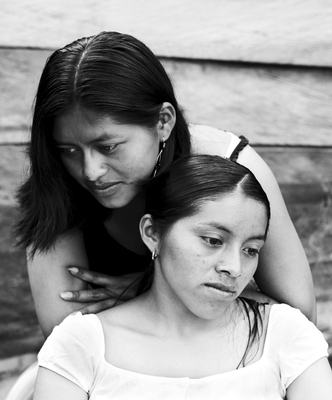 Click here to view the Guatemalan Forced Migration collection. All photos by Manuel Gil. The ORB is the Libraries’ institutional repository and publishing platform which is hosted on bepress’s Digital Commons platform. The platform allows faculty, students and researchers affiliated with Binghamton University to promote, share and archive scholarly and creative works with audiences both locally and around the globe. Authors and editors interested in publishing on The ORB can work with the Libraries and Digital Commons to customize the design and layout of their publications. For more information about The Orb, visit The Open Repository @ Binghamton or contact orb@binghamton.edu. This entry was posted in Blog, Collections, Digital Scholarship, Digitization, Exhibits, Faculty, General News, Institutional Repository, Libraries, libraryhomepage, Open Educational Resources, Spanish, The ORB and tagged Binghamton Institutional Repository, digital scholarship, Exhibit, Forced Migration, Guatemalan, Human Development, libraryhomepage, Oscar Gil-Garcia, Photography, The ORB. Bookmark the permalink.